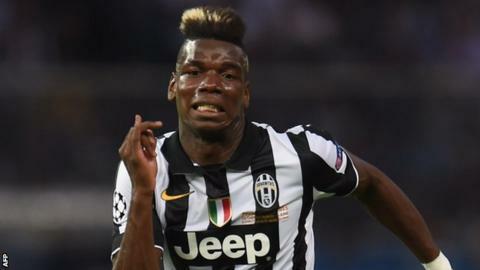 Juventus insist midfielder Paul Pogba is not for sale, despite a bid from Barcelona. Joan Laporta has claimed that he would sign the 22-year-old, who is also reportedly a target of Manchester City and Chelsea, if he is elected as Barca's club president this summer. Juve director Giuseppe Marotta said: "Whoever is interested needs to talk to us and not with agent Mino Raiola. "Barca cannot make any signings and Juve does not want to sell." France international Pogba, formerly a Manchester United player, is under contract at Juve until June 2019. The Italian club rejected a bid from Barca earlier this month after the European champions sent a delegation, led by the club's international sporting director Ariedo Braida, to Milan for negotiations. "We have negotiated with Barca in recent months," admitted Marotta. "The player is not for sale. "We have done so in a serious and correct manner as it should be between two teams that have a lot of history and importance in world football. "The situation is very clear between Barca and Juventus after the meeting we had in Milan. "Barca made an offer and we replied." Pogba's Juventus team-mate Arturo Vidal is close to a move to Bayern Munich. Barca cannot field any new players until January 2016 due to a transfer ban imposed by Fifa for breaching rules on the transfer of under-age players, but this has not prevented them from signing Aleix Vidal from Sevilla and Turkish midfielder Arda Turan from Atletico Madrid this summer.